#236 – Pi Day Times 2! Pi day was March 14. And, while we avoid redo-shirts, this is a real beauty of a shirt. Once more, with fFeeling! This shirt was acquired fFrom Science Tee-cher. It’s a great site which has other cool things, like this Tau By The Numbers shirt. What is Tau, you may be asking yourself? Tau is an abstract, irrational constant which is exactly pi times 2, or 6.28318… It’s a helpful tool, in some cases. And, as with pi day, you can tau day June 28! Enthusiasts will fFind a home here: http://tauday.com. The tau manifesto is rather inspiring, we’ll give them that much. I was going to post a somewhat crazy rant about tau cultists being deranged lunatics, but the more I wrote the dumber sounding it got. I have to admit that Tau Day doesn’t seem likely to capture the public imagination. Pi has a history that goes back millenia, at least as far as the ancient Greeks and Egyptians and Chinese. The ratio of a circle’s circumference to its diameter has been a useful concept ever since people became interested in circles. It’s hard to imagine the ancients losing sleep over that one. The general public is aware of Pi, and many people who don’t consider themselves mathematically inclined have a pretty good grasp of the concept and uses of Pi. That’s not true for Tau, which is derived from unit circle concepts and radian measure. 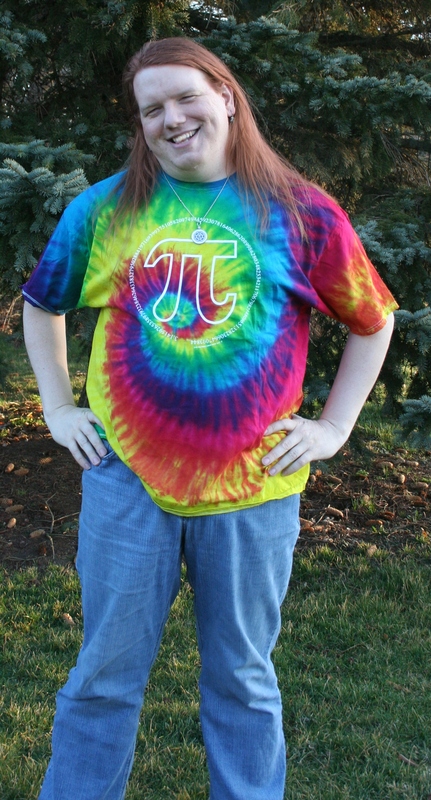 Perhaps more importantly, Pi Day, March 14th, occurs during the school year, and at a time when students are generally ready for some kind of a special day anyway. And most people like to eat some kind of pie, which makes for some very convenient and delicious puns on Pi Day. Tau Day, June 28th, falls in the summer, and so far has mainly generated a few puns about Tau-ism. So far as I know, no one has yet found a way to strongly link Tau to food, or music, dancing, or anything else celebratory. I’m hopeful, but not optimistic. I don’t have a strong opinion about whether Pi is or isn’t “better” than Tau, although there are people who have very forceful opinions one way or the other. But I can clearly see which one has the stronger popular appeal. Thank you Digby. Very sensibly stated. We appreciate what you do! And, maybe, just maybe, those tau-ists are on to something after all. Here’s something silly and sort of obscure: 6.28318 Is Too Damn Pi!! Hey, look, here’s The Pi Song, by Chris Hardwick and Mike Phirman, aka Hard n Phirm!